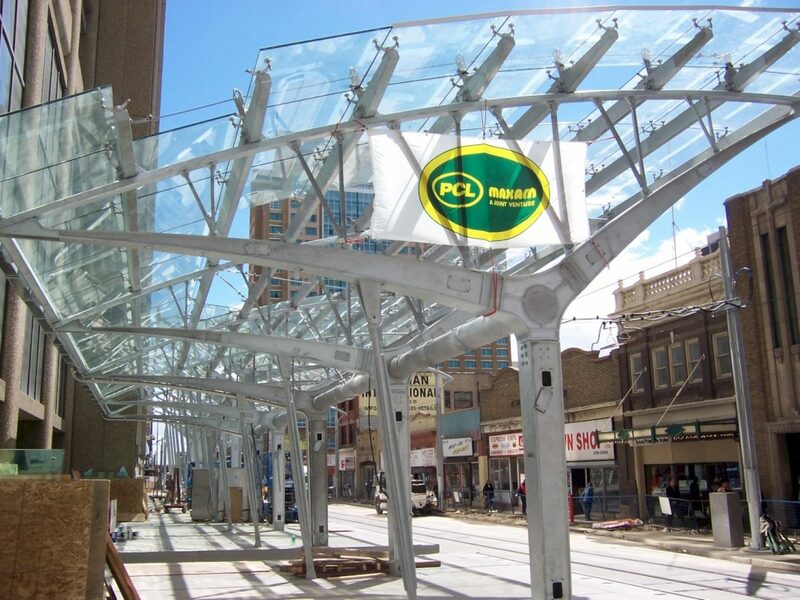 The City of Calgary, Alberta is a leader in the use of hot-dip galvanizing and duplex systems for infrastructure. 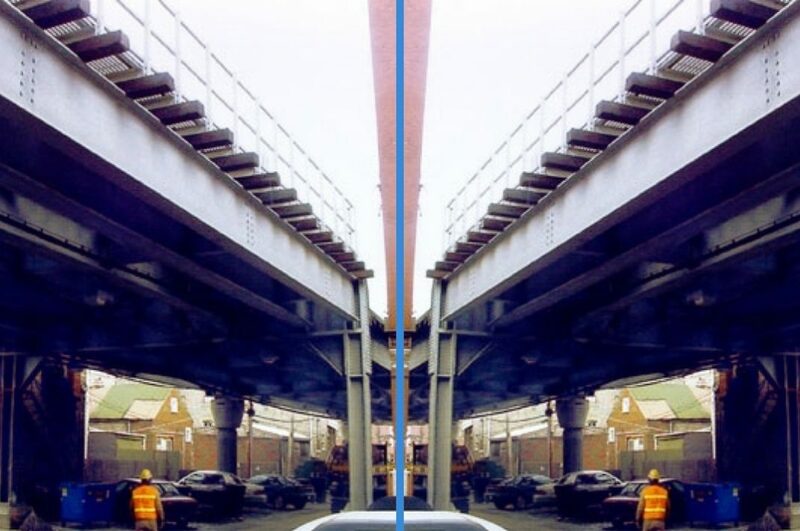 Over the past decade, duplex systems have been used extensively on major overpass guardrails and pedestrian rails. Recently, the city has specified galvanizing for all reinforced steel in bridges. "The system had to be de-energized, erected, and re-energized in a 72-hour timeframe to minimize the impact on commuters." 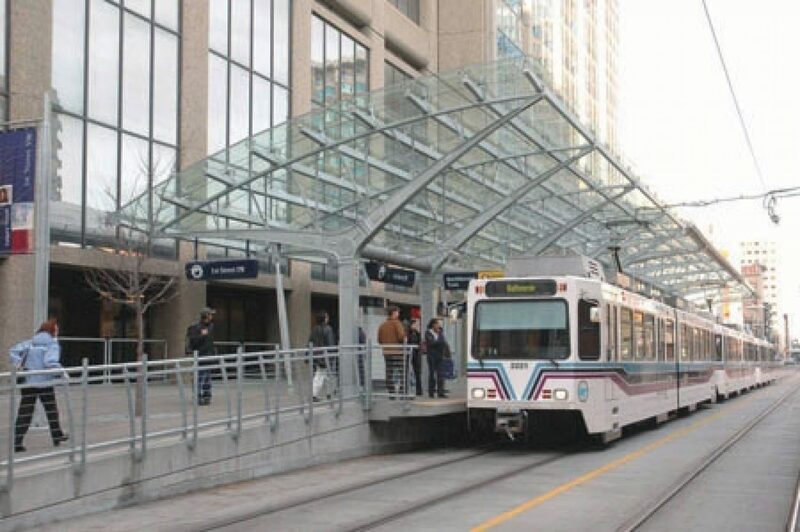 So when the city was ready to refurbish the 7th Avenue Light Rail Transit (LRT) System, hot-dip galvanizing was the logical choice. 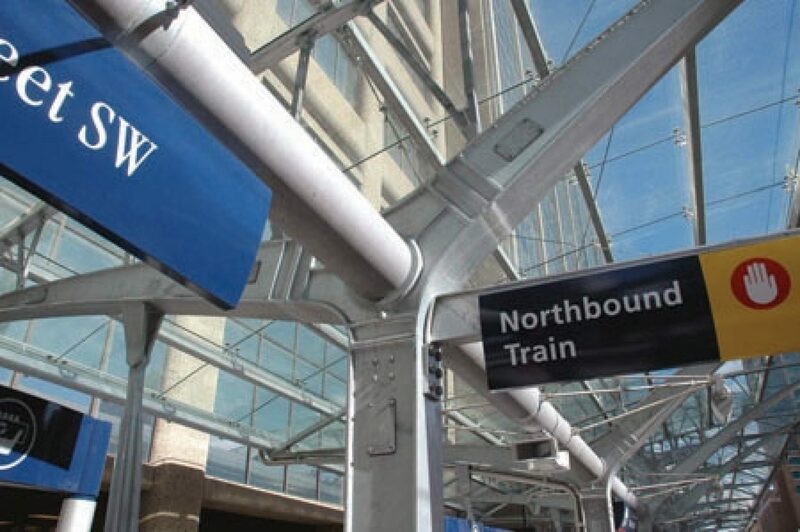 Because many commuters rely on the rail system, turnaround time was of the essence. The system had to be de-energized, erected, and re-energized in a 72-hour timeframe to minimize the impact on commuters. 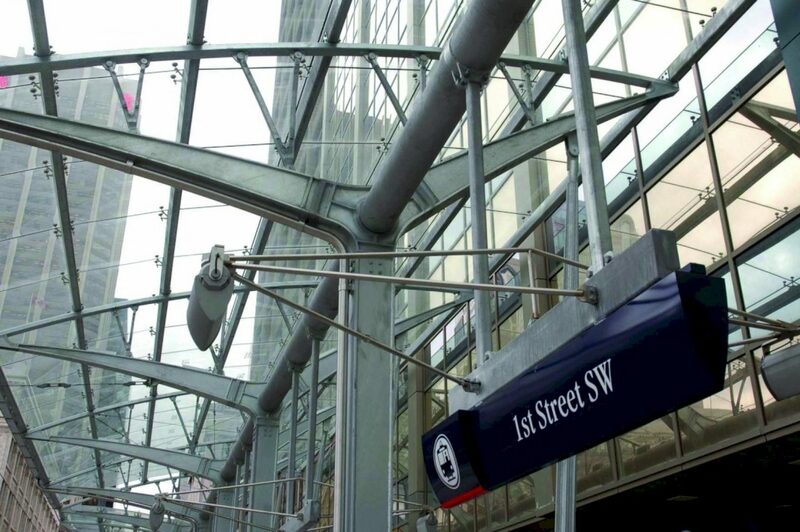 To create a uniform appearance, all hardware, hollow structural steel cords, tension members, columns, upper and lower arms, ornamental light posts, handrails, benches, and trash bins were hot-dip galvanized. The durable coating will be able to withstand the extreme winter climate and constant foot and rail traffic, while remaining aesthetically appealing. Following the success of this project, there are plans for up to 14 more similar station refurbishments in the near future.